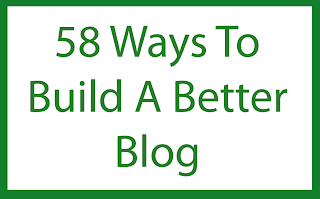 I came across this presentation by Marko Saric where he shares 58 ways to build a better blog and thought you might find it interesting. You can read his full post here where he goes into a bit more details about each point. No contact information. Make it easy for people to get in touch. Fans might want to send you feedback. Bloggers or members of the press might want to host you for an interview. Make it easy for them. No subscription options. If readers like your posts they'll want to make sure they don't miss out on new ones. Make it easy for them by giving them a variety of options for following your posts. No social share buttons. If people like your content they'll wan to be able to share it on their social networks. Make it as easy as possible for them by adding social share buttons on every blog post. You'll most likely see an increase in traffic to your blog. Blocking comments. I really don't understand this one. It should be easy for people to comment on your posts. Whilst I understand that dealing with spam comments can be a pain, making it difficult for people to comment will turn people away and stop interactions from non spammers too. Never block comments. If you must, add a widget to block the spam bots. What features do you think should be included on a good blog? 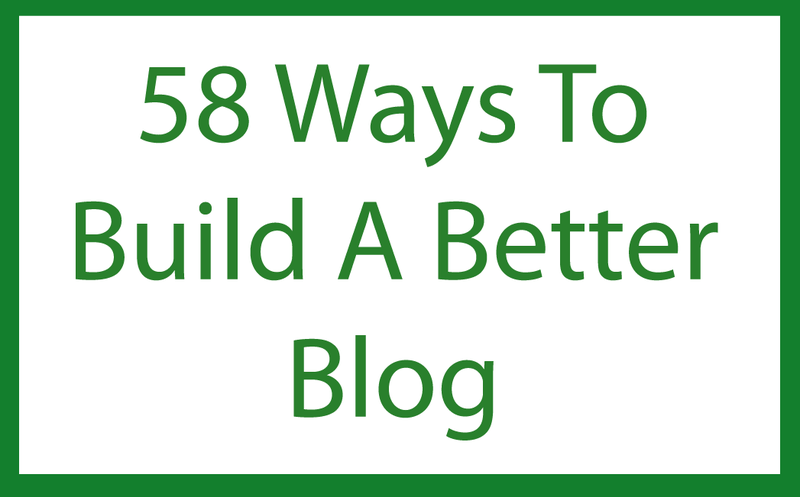 Got a tip for building a better blog? Share it in the comments section.